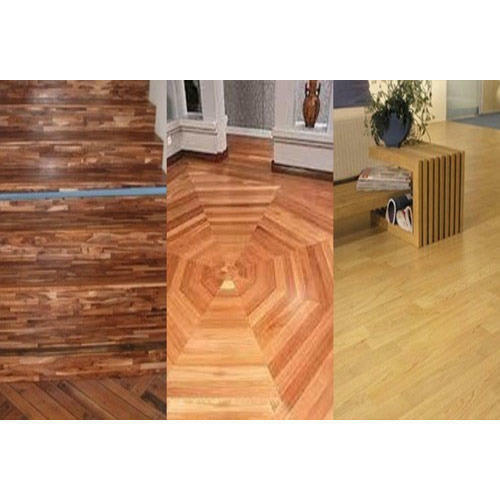 Having years of expertise and experience in this domain, we are offering a wide collection of Hardwood Wooden Flooring. The hardwood wooden flooring we offer is highly demanded among our patrons for their intricate design. Established in the year 2015, “R.K. Enterprises” is a leading Manufacturer and Wholesaler involved in offering a wide compilation of Wooden Plywood, Window Blinds, Wooden Flooring, Wooden Door, Wall Cladding, Aluminium Section, Artificial Grass Mats, Kitchen Basket, Glass Railling, ACP Cladding, Plywood Board, ACP Glass Glazing, Horizontal Sliding Window, Designer Wallpaper. To offer perfect and superlative quality products, we are connected with the certified, dependable and authentic vendors of the industry. Our vendors are chosen by our procuring agents on the basis of their manufacturing techniques, quality measure, financial condition, market reputation and delivery of the products. Our certified vendors also guarantee us that offered products are checked on defined quality standards to present the top-notch grade products to the patrons. In addition to this, we have achieved a huge patron base across the country owing to our ethical business policies, positive records, reasonable rates, excellent logistic facility and quality-centric approach.